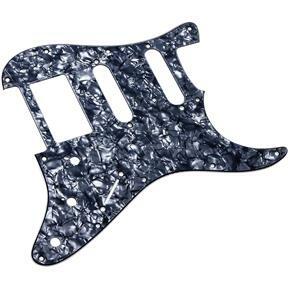 Our Pearloid Pick Guards have all the luster and depth of color of the classic rock style guitars of the 50's and 60's. Beveled edges reveal white on black, black on white or solid cream. Choose from two pickup style cut-outsÐeither 2 singles and 1 humbucker, or 3 singles. All Pickguards have foil insulation for the electronics.